Very nice subtle rug that was place under our breakfast nook table. Not to busy which was what we were looking for. Perfect neutral color for any room. Perfectly styled to energize today's urban-chic contemporary decor, this 5'1 x 7'6 rug from Safavieh's Vision Collection is a beautiful addition to any home. Its cream color enhances the sleek streamlined look and blends effortlessly with neutral color palettes. Dimensions 5 ft. 1 in. x 7 ft. 6 in. This rug is exactly what I thought it would be, it is cream but it has some beige tones woven it. Perfect! I am using it in the living room and it works well with my furniture in there. It has just enough beige tonal stripes in it to not be a solid white/cream. I had no issues getting it unrolled and flat. It is not very thick, so if you want something with high plush this will not do it but as an area rug this is a very good buy. This picture hopefully gives a decent idea of the tonal look of this area rug. This is a high quality rug for a fantastic price. Perfect size for under my dining room table. 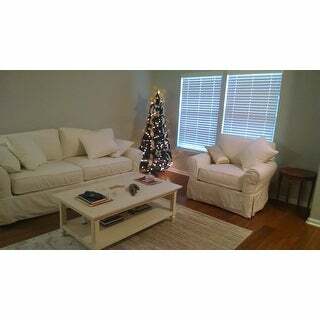 The ivory/cream color is a lovely neutral. I am so glad I purchased this rug! It is plush without being a shag carpet and it has the faintest tan color going through, which makes it perfect with my décor. I did not want a plain cream colored carpet and I did not want a darker tan. This is perfect! Would highly recommend! I previously purchased same rug about a year ago, different size. This is a very nice rug, nice neutral color, and soft. It is not super thick pile but still nice quality. It has a subtle striped look to it, varying shades of neutrals. It is not a solid color. I think it adds a nice amount of texture to the room while still appearing mostly a solid color. It is a nice sand or linen color, not beigy or golden. Beautiful Color. Soft and plush. Looks great. This area rug is plush and the color looks great. The description was very accurate. It is a great addition to the living room. I recommend this product. This rug is so cute! it is very durable and looks so chic. Nobody can tell that it was very affordable. The color is very neutral and goes with everything. We have 2 more Safavieh rugs and they are all very good quality. Quality rug with low soft pile. There’s a bit more stripes in the design than what’s seen in the photos, but still lovely & very neutral. Safavieh makes great rugs at affordable prices! Very nice, soft , they have a bit of brown it's subtle and they change as you walk on them. The only thing is they do not have backing . exactly as shown. love it in my living room. texture and size was great. very happy with my purchase. Picture does not show the real color! It is not a plain cream but it has also dark beige lines which come out a lot, maybe not as dark as on my photo but definitely not as neutral as your picture! Love love love this rug. This is actually my second time buying. My husband spilled wine on it when I was gone on vacation. Instead of attempting to clean it, he just threw it away. I loved it so much in our apartment living room space I just bought it again. Looks just like the pictures. Great for a simple elegant look! Great rug! I have three of them. I love the color, very neutral. They are very soft to walk on. I may even go back and get them for other rooms! The rug is soft under your feet but the lines are extremely visible. It looks almost striped in real life and more brown than this photo suggests. I love the rug. The color is accurate. I was afraid it would be too light as one of the photos seemed almost white, but the up close picture on the website is more what you would expect to see. 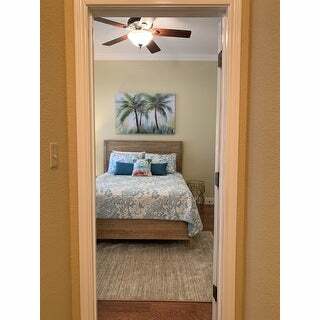 The pattern looks like a 'sandy beach' in my guest room I'm redecorating in a tropical theme. It seems well made. I'm glad I didn't go with the jute as this feels great on your feet. I've posted a few photos for reference. I love the style of this rug! The design is subtle but still offers something more than a plain solid color rug. My only complaint is that it shows dirt very easily, so it requires a little more care than darker rugs. Otherwise, great purchase! Although this series of rugs has a subtle, striped texture, it still really stays neutral and complements our decor very well. And the textured pattern helps it stay "in the background" and settles in nicely with the rest of our room. 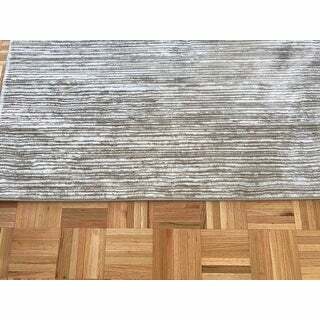 We ordered this rug for our dining room... it's so nice that it's just a little larger length than most other rugs its 7'6" that little extra is perfect for all the chairs to sit nicely around the table. It vacuums very well and is a great neutral color. "would this work with a pale gold love seat"
It is very muted, so if you are looking for a "pop" of color, this won't work. 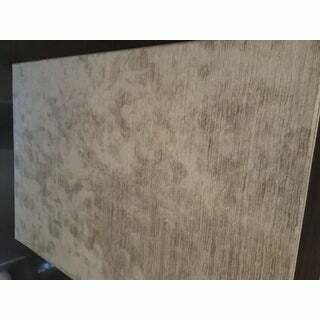 With that being said, it is a beautiful rug, cream with a very muted brown going through it, which would pair well with your love seat. I like the color and size. It will be for my dinette set. Safavieh Shadow Box Ultimate Cream Shag Rug - 5'3" x 7'6"